As we’re moving at lightning speed towards the end of the year our tours in Germany have finished. While throughout Germany anticipation builds for the start of the annual Christmas markets, we’d like to take the opportunity to rest and reflect. In line with that, we will reduce the frequency of our blog postings to the first Saturday of every month. Unless something extremely urgent and current comes up! 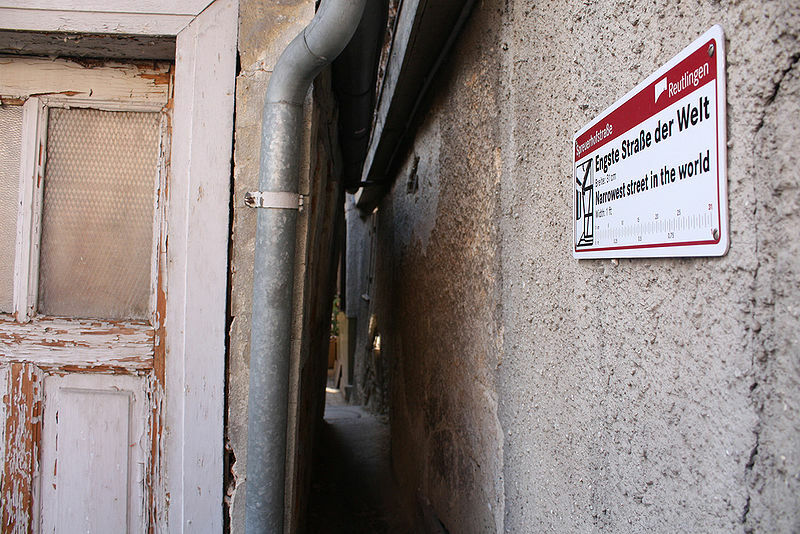 On that note, today’s post will be on the World’s narrowest street, Spreuerhofstraße, in Reutlingen. The road was created approximately 300 years ago and at 31cm wide holds the record since 2007. As each year winter approaches, the road and its status become more and more endangered. Moisture seeping in through leaks and creaks has deteriorated the buildings’ structure and it’s bulging towards the neighbouring house. For the past owners costly renovations were of no interest, as the record status had no financial relevance to them: the house was too dilapidated and too small to be converted into a commercially interesting place. In 2012 it looked like the house wasn’t going to make it through the winter of 2013 unless something major was to be done. The city of Reutlingen already owned the house on one side of the road and has finally been able to purchase the other one. As the houses are both rented out at the moment, major reconstruction will have to wait, but the city is already putting plans into action to ensure the buildings stability can be maintained until further works commence. Due to the size they are not thinking about creating a rental property, but rather a café or event kind of place or maybe even a, meaning one, honeymoon suite! Let’s wait and see what they come up with. 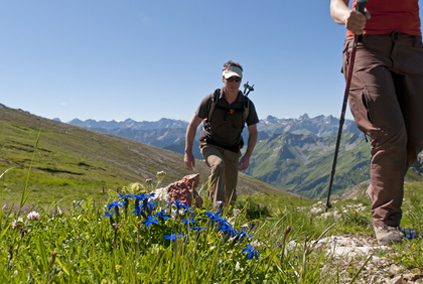 We hope you will pop in once a month to check out what’s happening in Germany and join us again next summer. If you have any questions or ideas, drop us a line and we’ll get back to you asap.